KaraFun Help Centre Windows Features How can I hear my voice in the speakers? In order to hear your voice through the speakers, you need to turn on the "Monitoring" feature in Windows. 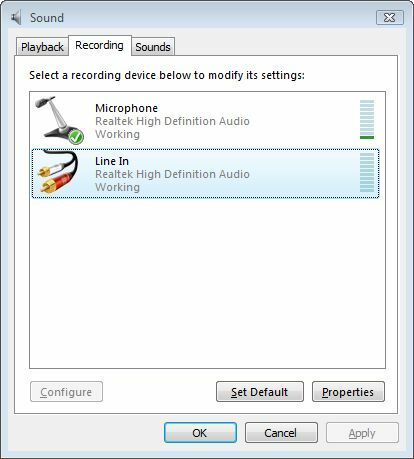 You can use the line-in connection on your sound card to connect a portable music player, microphone, or other audio input device to your computer. Most sound cards have at least one line-out port to connect speakers and a line-in port where you can connect an audio input device. However, the line-in connection to your sound card is muted by default. 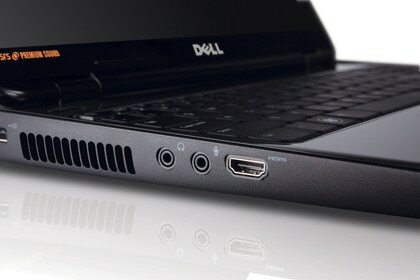 This means that if you plug an audio device into this port, it will not produce any sound on your computer until you enable sound for the line-in connection. Open Audio Devices and Sound Themes by clicking the Start button Picture of the Start button, clicking Control Panel, clicking Hardware and Sound, and then clicking Sound. Click the Playback tab, click Speakers, and then click Properties. Click the Levels tab, and then, under Line In, click the Mute button Picture of the Mute button to enable sound for the line-in connection.